With his "secret plans and clever tricks," the Enormous Crocodile desires to lunch not with but on a nice, juicy child. His croc companion, the Notsobig One, is the first to try to talk him out of his scheme, claiming children are no good to eat. "'Tough and chewy!' 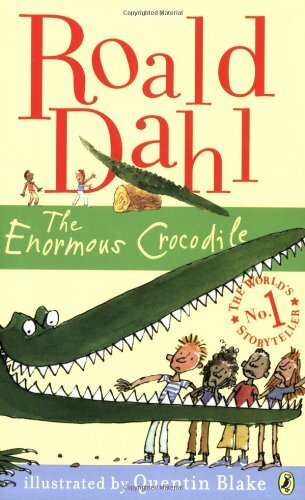 cried the Enormous Crocodile. 'Nasty and bitter! What awful tommyrot you talk! They are juicy and yummy!'" 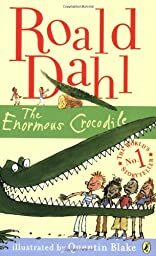 One jungle critter after another--from Trunky the elephant to Muggle-Wump the monkey to the Roly-Poly Bird--tries to prevent the Enormous Crocodile from carrying out his dastardly deed, but on he waddles toward the village. Unfortunately for him, the animals have a few secret plans and clever tricks up their furry sleeves, too!